Today I am going to talk about Pagan pride Day. In the US there is an annual festival at different times in different states where Pagans can come together and celebrate being who and what they are. Its a day for rituals, friendship, exploration, and much more. There are workshops and there are vendors. You have a ritual for the harvest (all are harvest themed) and sometimes other mini rituals in workshops. I love my local Pagan Pride day. Its been going on for 11 years now. Its been a great way for me to meet friends and be a part of a community. The vendors are typically the same year after year (with new ones from time to time) and many of the attendees are regulars. There were many people I saw once a year at the Pagan Pride day that I still considered friends. It was a fellowship of a kindred mind and spirit that kept us close. For many years I went just as an attendee. I went for the workshops and the vendors. The ritual component was always nice but they didn’t always make much sense to me. The people were the reason I went. I learned a lot from workshops. One year I learned the LBRP by heart by the end of an hour workshop. Other years I did ancestral work and learned about kitchen witchcraft. One year I learned of a completely new way to look at herbal work from a different perspective. Pagan Pride days are great. Even when I volunteered for a few years I was still able to see my friends, go to the workshops, and participate in the rituals. I became such a regular scene there and was often so lucky with the raffle that it became a joke about my entering raffles in the Pagan scene. Its still a joke today for those who remember those days even though the event is being run by other people now. With the change in leadership my role at the event also took a change. I went from being an attendee and a volunteer to being a vendor. This is where I launched Mystic Echoes last year. With this change I gained even more appreciation for vendors and attendees of Pagan pride Days. I was supported by the community in my venture to open a New Age and Metaphysical store. I now knew and understood why vendors came back year after year. I also now understood why people liked the vendors. Its all exposure to different products you might not see or have otherwise. Its also a great place to learn about making new things and how things worked. Pagan Pride Days are a wonderful thing and need to be embraced more. They offer community for those of us who practice alone but want fellowship every once and a while. They offer education to the general public. They offer understanding, small business sales and development, and do a community service. The fee for the local Pagan pride day is a canned good of some sort. The non-perishable goods are given to a local food pantry so that those in need can have food to eat. Last year they also raised food and toys for the local animal shelter as well ensuring that the animals had food and toys as well. If you are interested in seeing a world of different pagan religious practices, and in exploring them I can’t recommended going to a Pagan Pride Day enough. 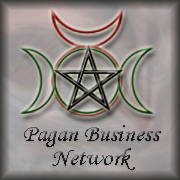 The website: Pagan pride Day organization provides a link for you to find local events. They are non judgmental so all are welcome. You don’t have to be Pagan to go and enjoy it. So please go check out a local event. Posted on August 8, 2014, in Goddess spirituality, Other Worlds (heven, hell, ect), Pagan Blog Project, Religion, Ritual, Spirituality, Theology and tagged God or Goddess, Neo Pagan witchcraft, Pagan Blog Project, Religion, Ritual. Bookmark the permalink. 3 Comments. I hope you have or had a pleasant experience.